Thank you for visiting Local 684's website only 684 members are allowed to register for Member Login. 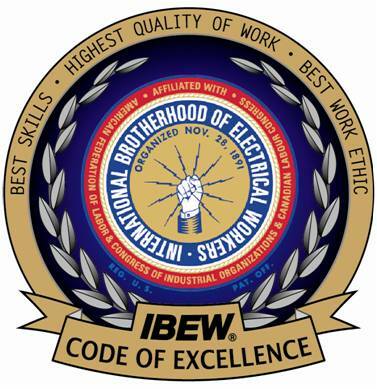 Welcome to the International Brotherhood of Electrical Workers (IBEW) Local Union 684’s website. This website was created to help our members, their families, and those interested in our union and the electrical industry in the central valley. Local 684's office is located at 519 12th St in Modesto CA 95354, the phone number is (209)524-5171. IBEW Local 684 represents Electrical Workers within our jurisdiction in Stanislaus, Merced, Mariposa, and Tuolumne counties. The main objectives of the Local Union are to organize electrical workers, secure just compensation for their services, provide equitable settlements of grievances, promote efficiency and improvements, reasonable working conditions and cordial relations between members and the employers while promoting the Electrical Industry. Local 684’s charter was issued on Nov 28th 1910 in Modesto California our founding members were: Geo W. Wentworth, F.D. Halstead, R.W. Johnson, W.J. Thomas, C.J. Baird, Albert C. Sipe, J.A. Ross, E.F. Leach, Ed Sorensen, R.F. Linn, R.H. Lowe, and L.H. Castle. Local 684 proudly partners with the Northern California Chapter of The National Electrical Contractors Association, NECA and their signatory contractors. I encourage all members to utilize this website to help stay informed and play an active part in this Brotherhood. If you have any questions about IBEW local 684 please contact us. Follow link to see reasons to join Local 684.